No need to worry as you can listen to your iTunes for Android phone also. 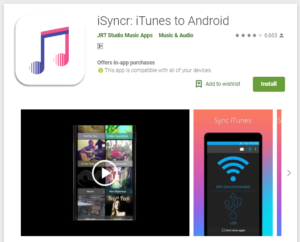 Apple’s iTunes allows syncing music with various mobile devices including Android. 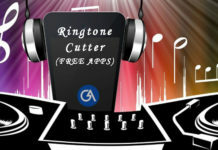 We will tell you a method with the help of which you can transfer music from iTunes to any Android phone or tablet. We are also telling you how to use iTunes music downloader in simple and easy steps. 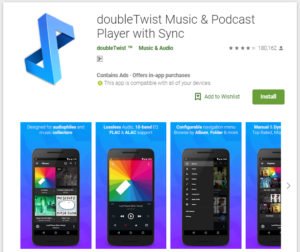 doubleTwist lets you synchronize your iTunes library with Android device. It is available freely as well as a pro version is also available costing around $10, depending on your region. 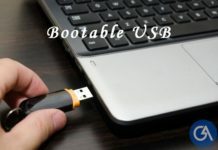 Step 1: Firstly install and launch doubleTwist on your computer. Step 2: Now connect your phone/tablet to the computer. Make sure USB Mass Storage mode is enabled on your phone or tablet. Step 3: Your device should be recognized automatically, which will trigger a syncing window. Step 4: In the window, you will see a Music tab, place a checkmark beside Sync music and select the checkboxes that you want to be sent to your phone. Step 5: Lastly, Click on the Sync now button to begin transferring your music to your Android phone. That’s it. Once the synchronization is complete, you can play and access your iTunes music using doubleTwist Player for Android. Here is another app for the same task, iSyncr. You can also use the iSyncr app to sync your iTunes library from a PC or Mac including iTunes playlists, music, podcasts, videos (non-DRM) and more. Till now, we are talking about music and now comes to iTunes movies. If you want to watch iTunes movies on Android, you can do this thing also, You can watch any type of movies that are available on iTunes. 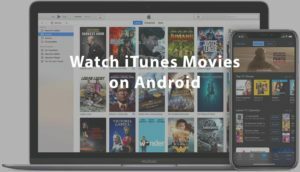 You can use the above-mentioned method and just start watching your favorite iTunes movies on Android. If you want to watch NFL online on your desktop or Android phone, you can follow our NFL online streaming websites here. These websites allow you to watch NFL free for lifetime. After getting installed DoubleTwist on your Android phone, this app allows you to sync your music library with iTunes and Android device. You can easily synchronize the data between these both devices. You can send a song from iTunes to your Android phone with a single tap and you get it on another device. You can connect your iTunes with your iPhone or Android with the help of USB cable or WiFi connection. For that, you just installed the latest version of iTunes on your desktop or PC to access the iTunes on the same device. After installing iTunes software, you can connect Phone to iTunes easily. If you are an artist and want to know how to put music on iTunes, you must follow some guidelines to get your music online on iTunes. You must accept the terms and conditions of the Apple store and iTunes store. After that, you can sign up for the iTunes artist membership. Once you completed the registration process, it is very simple to get music on iTunes. This is how you can transfer and sync your iTunes music to Android device and enjoy the music service of the iTunes library. Just try out any one of the two apps given above and let us know in case of any issues. You can simply use iTunes music downloader feature available in both the apps.